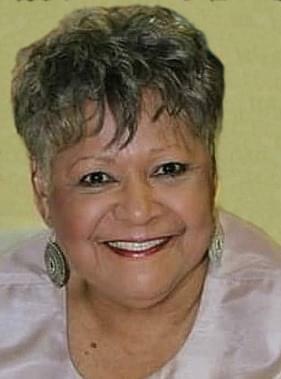 Anna Faye Scott, 78, of Centralia, Illinois left her earthly home at 1:00 a.m. to attend a Heavenly Celebration in her honor. She arrived at her destination on April 11, 2019. Mrs. Scott’s parents moved from Ripley, Tennessee in 1942 to Centralia, Illinois, where she resided and attended Lincoln Grade School, Centralia High School and Centralia Jr. College. At an early age she expressed a belief and faith in Jesus Christ and was baptized at Second Baptist Church where she remained a faithful member. After her marriage to Harold she moved to Milwaukee, Wisconsin, where she worked at Hickey’s restaurant and St. Michael’s Hospital as a dietician. Mrs. Scott moved back to her hometown of Centralia where she was employed at St. Mary’s School of Radiology where she obtained her degree and worked as a technician in the Chemotherapy and Radiation departments. She had a passionate approach to cancer patients and would always greet them with a smile and words of encouragement. After 37 years of loyal service she retired in 2006. Her greatest joy was spending time with her children, grandchildren, family, and friends. She especially enjoyed Thanksgiving in Atlanta with Kevin and Kelley. She also loved shopping and visiting Las Vegas and Tennessee. She enjoyed good soul food restaurants as well. “Faye Baby”, as she was called by her late husband Willie G. and all who knew and loved her, knew the value of “Family” and what it meant. She, being the loving and caring person that she was, continued to show and share that “Legacy of Family” by reaching out to all her loved ones and friends, whether it was through a card, phone call or even a visit. Whenever she could make the trip she was determined to keep the “Bond of Love” between her family and friends. She cherished many conversations on her front porch, where everyone was welcome. She was born May 27, 1940 in Ripley, Tennessee to the late Julius and Edna (Coleman) Flagg. She married Harold Edward Outlaw on December 2, 1960, and they later divorced. She went on to fall in love and marry Willie G. Scott on August 8, 1974 in Mt. Vernon, Illinois and he preceded her in death. She was preceded in death by her parents; husband Willie G. Scott; daughter, Tanya Outlaw; two sisters, Denise Bowers, and Alba Flagg; six brothers, James Allen, Samuel, George, Julius Jr., Franklin Eugene, and Larry Flagg.